How will the world look 60 years from now? It’s impossible to say, but it’s a safe to guess mobile phones, televisions and cars will all look very different. Bradgate build modules and containers that are built to last, and are adaptable to changes in future technologies. (Most rail in the UK runs on 25Kva AC transmitted via overhead lines. In the South East it is practical to transmit power via the third-rail system running on a 750 V DC. As part of the rail network very high system voltages are not safe so high currents are therefore used. However high currents result in power loss in the system, and require relatively closely sub-stations). 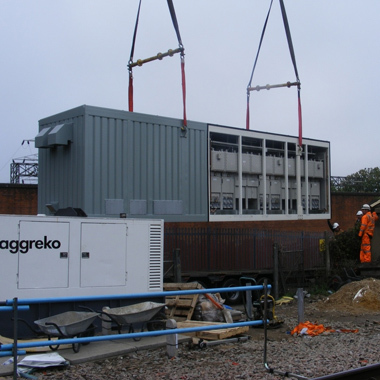 Network Rail specify that sub-station modules should be delivered with a stringent sixty-year low maintenance assurance. Bradgate stainless steel modules are especially designed and constructed for low maintenance free durability. They have full Network Rail approval having been accepted through Network Rails rigorous approval process. Modules are designed to accommodate AC or DC Switchgear, and can be adapted to meet rail gauge requirements. Bradgate can, if required, arrange to fit Switchgear and inter cable allowing functional testing to be carried out off-site for efficient and hassle-free installation.